My daughter is slowly getting into puzzles. She’s been enjoying making them, provided I do it with her. I don’t think it’s so much the size of the pieces that are daunting her, but I think she might be intimidated when there are many pieces. So while I was shopping at my local craft supply store, I came across blank puzzles that were surprisingly inexpensive. I got a couple of smaller ones for rainy day crafts. When it’s my morning to wake up with the girls on the weekends (Peter and I alternate sleeping in when we don’t have specific plans) I tend to make special crafts with Danika when her sister goes down for her morning nap. I think she really enjoys this time with me (I know I do). I always prepare her ahead of time by asking her if she wants to make a “special craft” with Mommy. She’s always so excited. I love it. 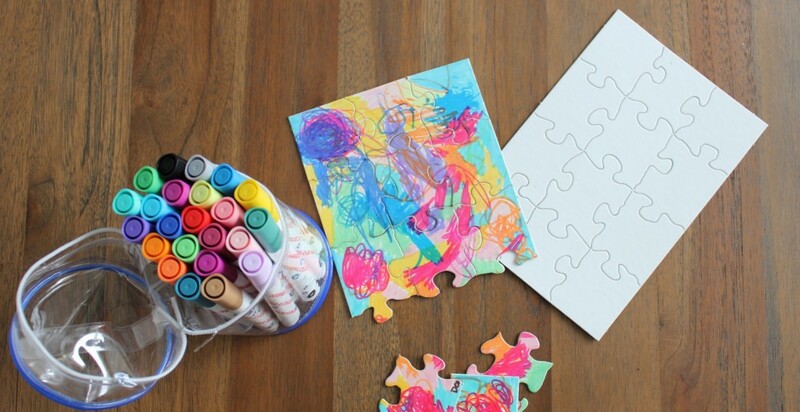 Make sure your child doesn’t take the blank puzzle apart before starting (it’s VERY tempting to do this yourself). Each interconnected piece is perforated to keep it attached together making it easier to draw or paint or collage on it. It then come apart easily, without much effort. 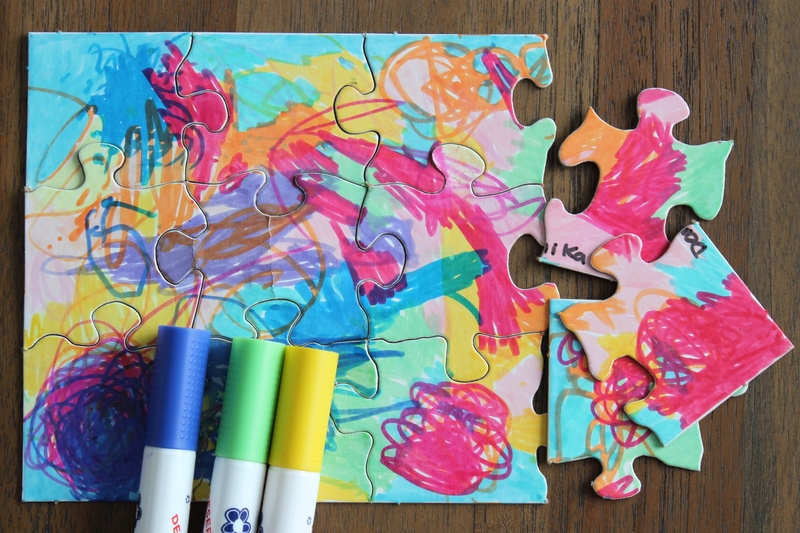 As you child creates her/his masterpiece, make sure that the colours used overlap onto the neighbouring piece so that when the time comes to actually make the puzzle, it will be doable. 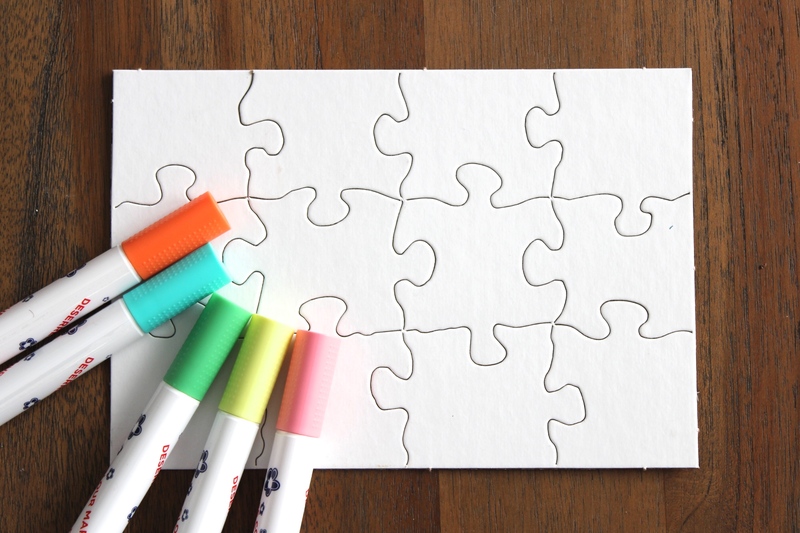 Take it apart and put it together again… And again…. And again.